A smoked, uncooked ham stores well when properly packaged. A smoked, uncooked ham is cured with a smoking process, which also imbues the meat with a rich, smoky flavor. Although smoking helps cure the meat, it doesn't cook it, so the ham still requires heating to a safe temperature before you can eat it. If you can't prepare the ham right away you can store it for a short time in the refrigerator or for even longer in the freezer. Following the right storage procedure helps ensure the ham retains both quality and flavor until you are ready to use it. Wrap the ham tightly in two layers of plastic wrap. If you are freezing the ham, wrap the entire plastic-covered ham in a layer of freezer paper to further prevent freezer burn. 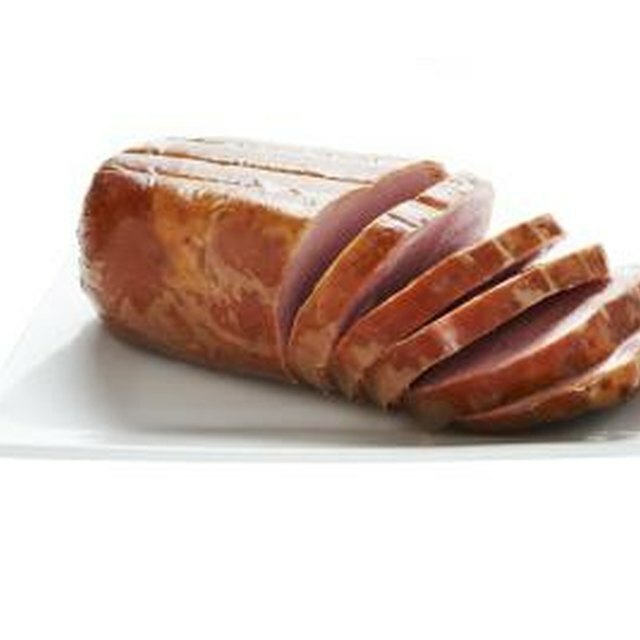 Store the ham in the refrigerator for five to seven days at most before cooking it. You can store the ham for an additional three to five days in the refrigerator after it's been cooked. Place the wrapped ham in the freezer and store it for up to four months at zero degrees Fahrenheit. Write the storage date on the outer wrapping so you know when to use the ham before it begins to decline in quality. Thaw frozen hams in the refrigerator for one or two days before cooking them. 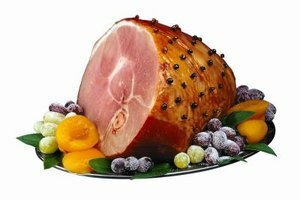 You can refreeze the ham after cooking and store it for an additional one to two months. Use a meat thermometer when preparing your uncooked smoked ham. It's safe to eat once the internal temperature reaches 160 degrees Fahrenheit. If you are refreezing or refrigerating the ham after cooking, cool it to 40 degrees or less quickly after preparation to avoid the chances of food-borne illness. Can I Cook Chicken Two Weeks After the Sell by Date?